Hasselt is a vibrant city located in the north-eastern part of Belgium. Its population of more than 75,000 inhabitants is diverse and includes students of the local university UHasselt. Hasselt has always been forward-thinking in terms of participatory democracy, yet the local government was looking to expand its current offline approach by going digital. 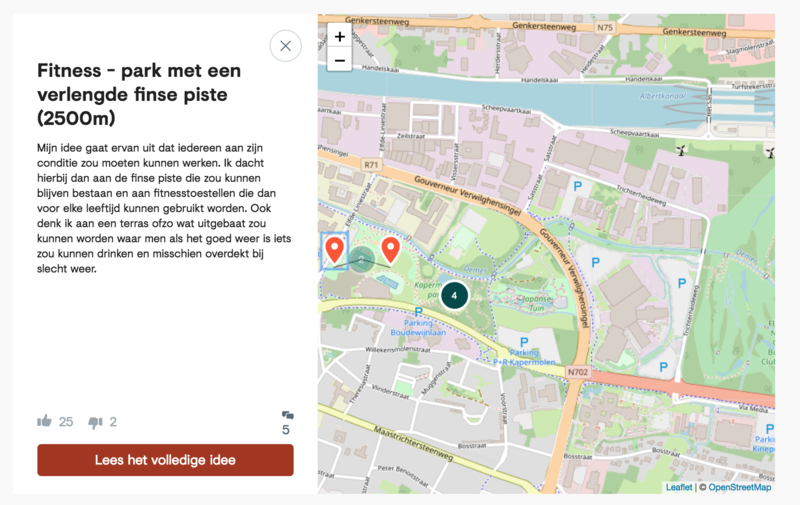 The city decided to use CitizenLab to include its citizens in the renewal project of city’s biggest park, named Kapermolenpark. The city councillor for youth and environment Valérie Del Re took charge of the project with her department. Her goal with CitizenLab and online participation was to make policymakers and citizens partners in the co-creation of their city as “everyone has a responsibility to make it more liveable”. First they defined the scope of the project and the themes that were going be used on the platform to structure the discussions on the park renewal. Then they allocated the additional workload within the department of environment and youth. The adoption of the platform did not cause any problems in the administration. Valerie Del Re was even “surprised by how easy it was [to use the platform]” and her staff started working with it without any prior trainings. The kick-off phase of the platform is crucial because the citizens need to be informed that a platform has been put online. 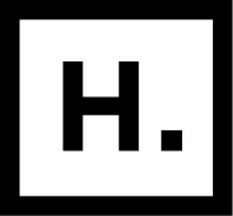 We helped Hasselt launch its platform by joining forces in terms of communication using our respective social media, websites, newsletters. The result was compelling: the number of registered users reached 144 after only 1 month. The ideas started flowing to the platform as well and some users even shared a few of them on their personal Facebook page. The city councillors initially feared that they will get “only negative ideas”, yet they quickly realised that it was not the case. Valerie Del Re noticed that “people inspired each other” and that it yielded “lots of good ideas we are definitely going to use”. Moreover she also remarked that “a whole self-moderation was going on”. For example a citizen suggested that a part of the park should be replaced by parking space. That idea was strongly downvoted by the whole community. They decided that the online and offline consultations and idea gathering period would last 3 months. After that we helped them regroup similar ideas posted on the platform into clusters to get a clear overview of the popular proposals. They regrouped 42 ideas out of 105 to form 8 proposals which are now further discussed by the city council. These 8 proposals, why they were chosen and the ideas on which they are based can be consulted now on the platform for full transparency. Using CitizenLab, they were able to give feedback on each idea with minimal efforts. The final selection has been made and the projects that were chosen are now discussed by the city council. Some or all of them might implemented depending on feasibility and budget. In 2018 the city is launching new now city-wide project, related to greenery and spatial planning. Also the platform will be used to let citizens pick their favourite name for the newly build City Administration.